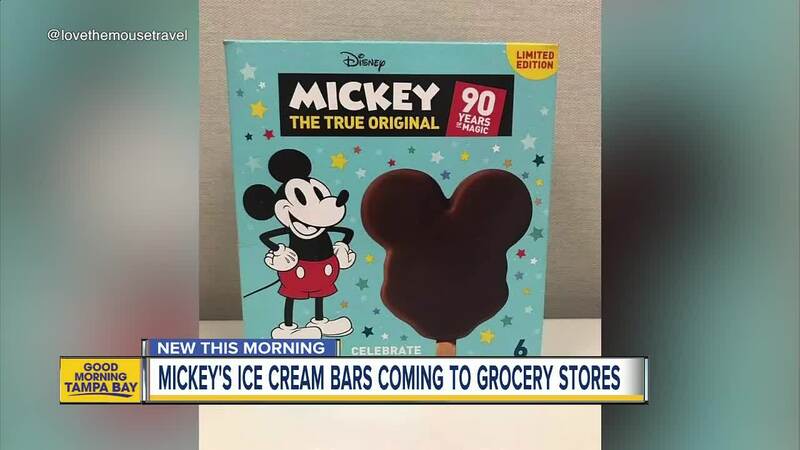 Mickey Mouse Ice Cream Bars will be coming to grocery stores near you to celebrate his 90th birthday. One of the most popular desserts at Disney World will soon be coming to the frozen aisle at your local grocery store for a limited time. Nestle has partnered with Disney to bring a smaller version of the delicious Mickey Mouse Ice Cream Bars into your home and it's all to celebrate Mickey's 90th birthday. The treats will come in a box of six and they're about 3 ounces each, compared to the 4 ounce bars sold in Disney parks. They'll start showing up in stores this February.